Japanese public broadcaster NHK has carried out a successful terrestrial trial of its Super Hi-Vision 8k format. The UHF test was conducted by Science & Technology Research Laboratories from its facility in Hitoyoshi, southern Japan, with the signal successfully received some 27 kilometers away. The broadcaster is running a number of public viewings of the 8k format during the upcoming Sochi Olympics. Skating will be shown live to audiences at the NHK Fureai Hall in Shibuya, while at the NHK Nagoya Station, footage of the Sochi Olympics and other 8K contents will be shown to commemorate the 60th anniversary of television broadcasting in Nagoya. 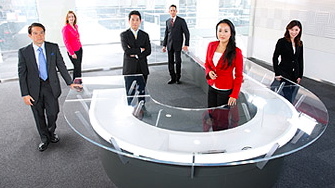 Super Hi-Vision has been in development by NHK since 1995. The 8K format has 7,680 by 4,320 pixels, four times the resolution of 4K and 16 times that of the current HD format.